During the month of October, GLAMGLOW will donate 25% of all proceeds from this special pink edition to the National Breast Cancer Foundation. NBCF's mission is to provide mammograms, early detection and education to women who could not otherwise afford it. YOUTHMUD™ is popular with celebrities such as Jennifer Aniston, Natalie Portman, Kristen Stewart, Beyonce, Miley Cyrus, and more. GLAMGLOW’s special pink edition retails for $69 at Sephora.com. Recognized as one of the leading breast cancer organizations in the world, the National Breast Cancer Foundation’s (NBCF) mission is to save lives through early detection and to provide mammograms for those in need. 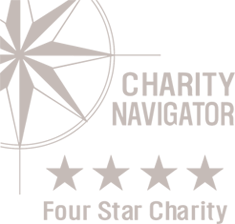 A recipient of Charity Navigator’s highest 4- star rating for nine years, NBCF provides women Help for Today…Hope forTomorrow® through its National Mammography Program, Beyond The Shock®, Early Detection Plan, MyNBCFonline support community, and breast cancer research programs. For more information, please visit www.nbcf.org.